A specially-written computer program which can import dozens of components into a press brake bending system at once, is saving a sheet metal manufacturer a full week’s work, every week. Spooner Industries has been a leading innovator in air movement and heat transfer technology since 1932. Operating with 150 employees out of 40,000 square foot premises in Ilkley, West Yorkshire, the company produces custom designed industrial process machinery such as tunnel ovens, air flotation dryers, and coolers for a variety of market sectors including food and paper. "With Batch Bending the operation can be automated, while flagging up anything that requires manual input. This means the operator only needs to work on certain parts, rather than on them all." 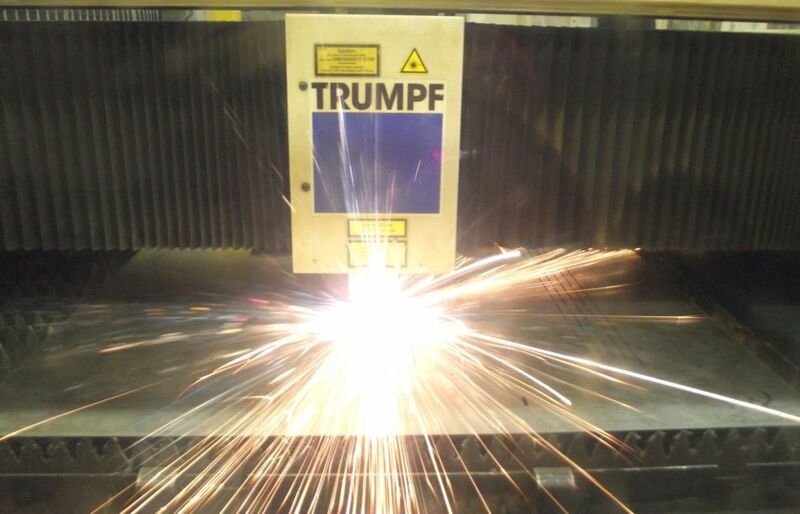 Vero Software’s powerful sheet metal CAD/CAM solution, Radan, programs their Trumpf laser cutter and two Bystronic press brakes. 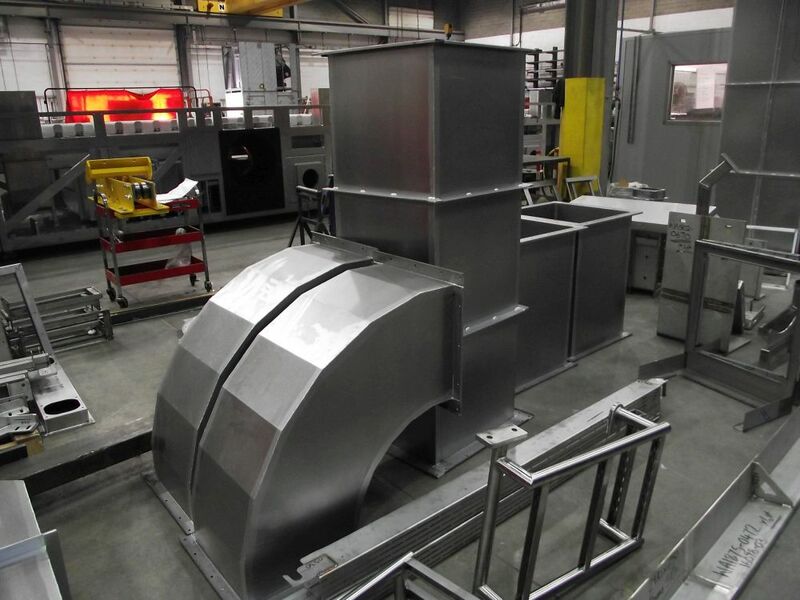 While most parts have an average of four folds which need to be programmed in the correct bending sequence, some of their more complex components need up to 15 folds. 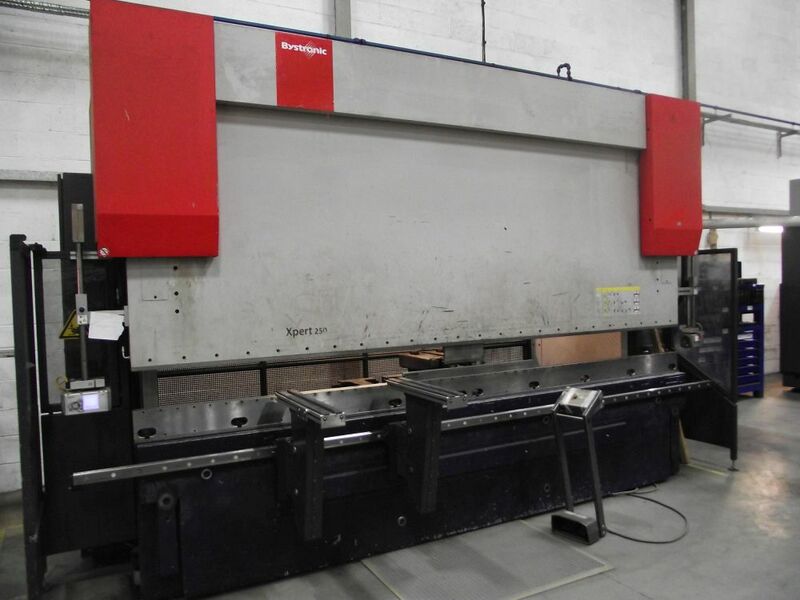 Another Radan macro, which Spooner has used for several years, speeds up the process of creating nests of flat pack sheet metal components ready for laser cutting, simultaneously from a number of works orders. The macro searches for appropriate parts, and opens the CAD files, creating Radan symbols, which allows Nick Murgatroyd to produce nests directly from their Microsoft AX business system. This system also produces lists of components which need to be folded. 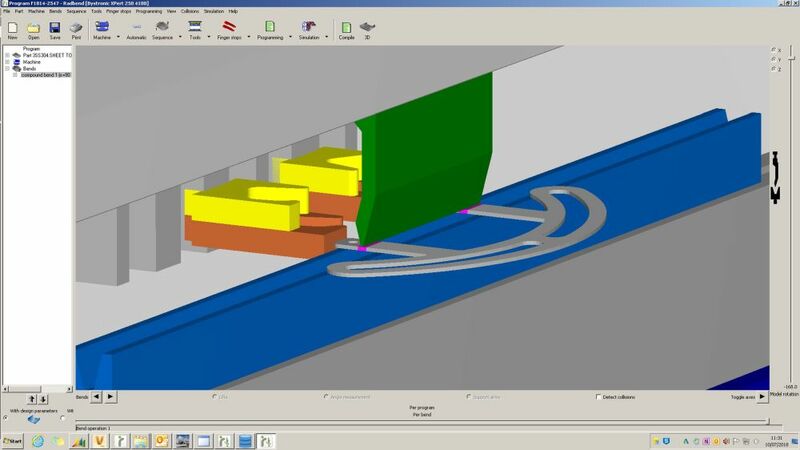 But with around 21 mouse clicks needed to import each CAD file into Radbend and get it ready for the press brake, he says it was time consuming and involved considerable repetitive work. There are two important aspects to Batch Bending. First, it fully automates the initial sequence of importing the files; and secondly it automates the actual programming of the bends and in the correct sequence. “Obviously with some of our more complex components needing up to 15 folds it’s impossible for all items to be fully automatic.” It averages out that about half the components in each run go through the whole process entirely automatically with no manual intervention required. 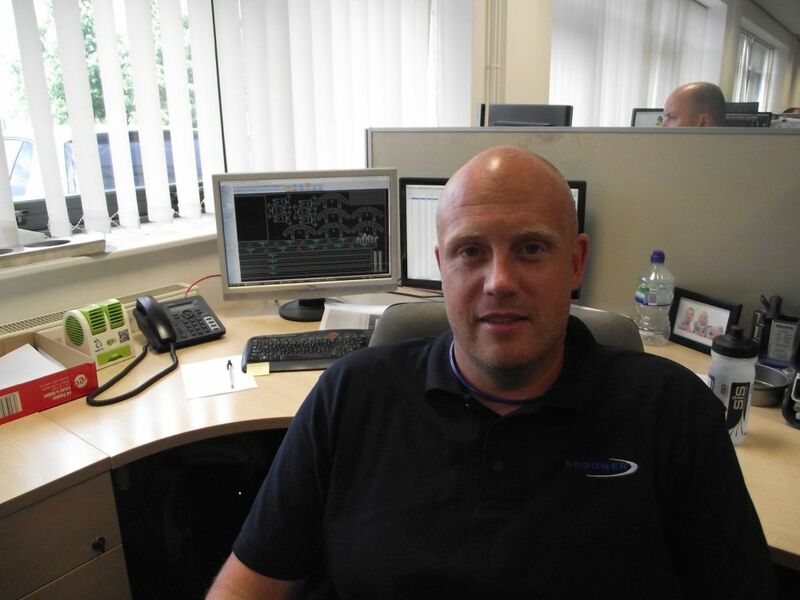 Andy Carlton is the Programmer/Operator who uses Batch Bending. He says Radan engineers included a verification warning which alerts him when manual intervention is needed. Much of it is only when the system recognises a potential issue that requires verification, and it just needs a simple mouse click to proceed. Other instances are when a collision has been detected, and he needs to recompile the bending program. Manual intervention is achieved by opening the Server Message Block (SMB) viewer which shows exactly what the issue is, enabling him to reprogram or re-sequence the part quickly and seamlessly. 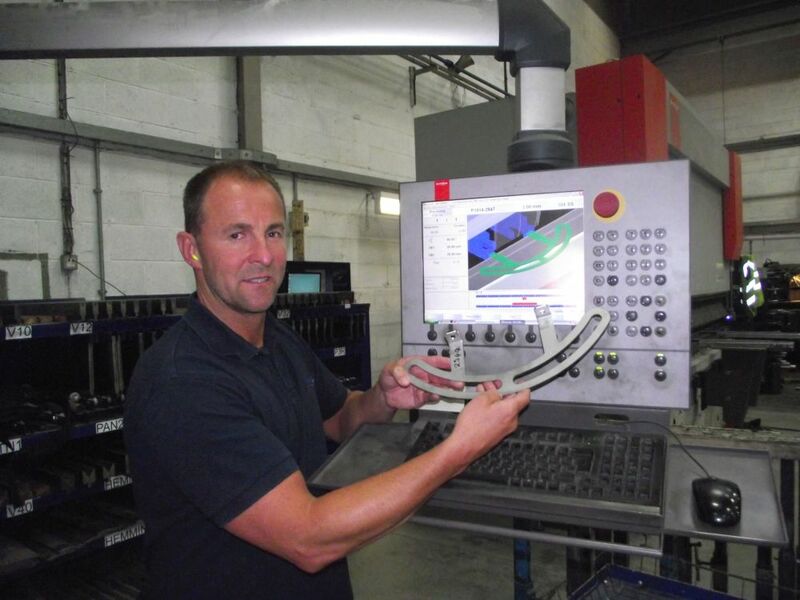 “The biggest gain for us is that the first dozen steps are always going to be fully automated for every single component we put through Batch Bending. And that saves us so much time, even before taking bend programming and sequencing into account. So even if we were to get zero per cent in calculating the correct bending sequences for a particular job run – which has never happened – we’d still eliminate the first 12 or so steps. Batch Bending proved to be so valuable for Spooner Industries, that Radan have now introduced the functionality into the standard software with Radan 2018 R2. 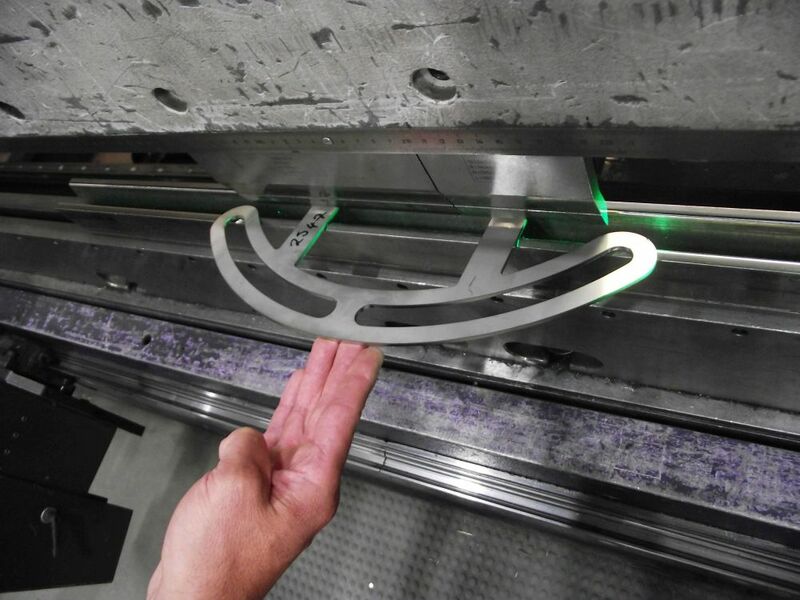 Radan’s Product Manager Olaf Körner says: “Programming a press brake part involves a large number of steps. Manufacturers have to import the initial 3D file, devise the bending sequence and tooling set-up, which defines any changes the model may need. Then they need to check for collisions, and create an NC program and job report. Each of those steps requires a separate click. “But with Batch Bending the operation can be automated, while flagging up anything that requires manual input. This means the operator only needs to work on certain parts, rather than on them all.